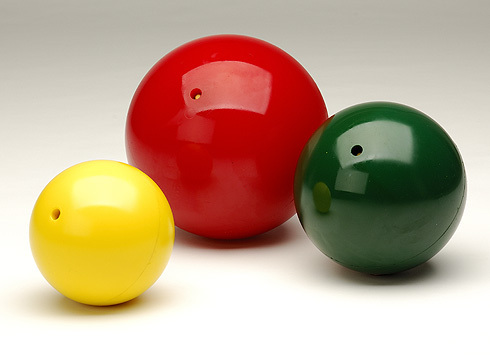 Girard solid and inflatable polyurethane spheres are manufactured in a range of durometers for pipeline and meter prover applications. Neoprene, Nitrile and Viton spheres are also available for special applications. To achieve the maximum performance Girard inflatable spheres must be properly filled and sized. Specific applications will determine the most effective sizing and filler fluid to be used. Liquid Batch Separation: Girard spheres are used for separating various products such as gasolines, fuel oils, crude oils, jet fuels, and other petroleum products transported through a pipeline. Product integrity is maintained while navigating tees and ells. Line Testing: Girard spheres purge air from the pipeline to insure accurate hydrostatic testing. This is achieved by inserting a sphere ahead of the water column which displaces the air. 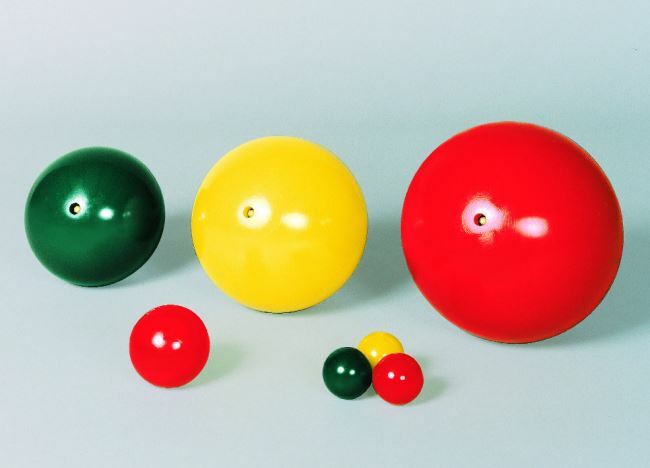 Girard spheres can remain in the line throughout all phases of testing. Once the test is complete, the spheres are used to dewater the pipeline. Line Maintenance: Girard spheres maintain pipeline integrity by removing paraffin and condensate. 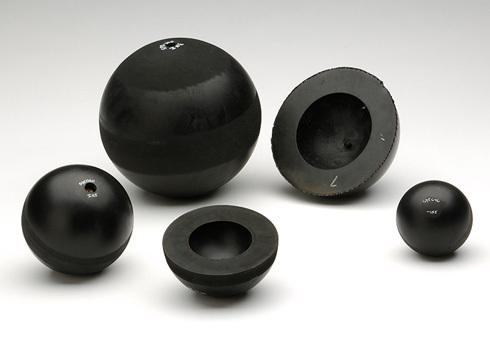 During pipeline corrosion control maintenance, spheres are used to batch corrosion inhibitors. Meter Prover Spheres: Girard spheres gauge volume displacement to confirm the accuracy of flow meters. Sphere Pump: A sphere pump is recommended to properly inflate a Girard sphere. The pump is easy to operate by placing the appropriate fluid in the filling cup, attaching the hose to the valve body in the sphere, and manually pressing the handle. The pump and attachments are available from Girard Industries. Please click here for sphere pump details and filling instructions.